The incidents are being treated as a linked series and investigators are keeping an open mind regarding motives. Staff at three business addresses yesterday reported having received suspicious packages. 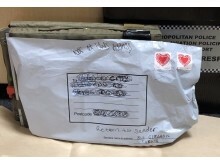 The packages – all A4-sized white postal bags containing yellow Jiffy bags – were assessed by specialist officers to be small improvised explosive devices. 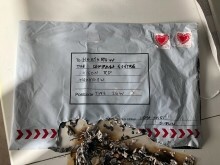 These devices, at this early stage of the investigation, appear capable of igniting an initially small fire when opened. 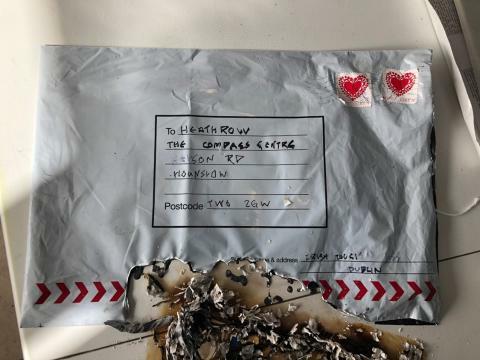 The Met Police Counter Terrorism Command is not investigating any other suspicious packages in relation to this inquiry at this time. No one was injured. The building was evacuated as a precaution. Specialist officers attended and made the device safe. The building was initially closed and has now been reopened. The Compass Centre is not within Heathrow Airport, and flights were not affected by this incident. The station was not evacuated however cordons were erected in a small area on Cab Road, outside the station. These cordons have now been removed. Train services were not affected. At approximately 12.10hrs police were called to a report of a suspicious package at offices at City Aviation House, Royal Docks, Newham. Staff were evacuated from the building as a precaution. The package was not opened and no one was injured. Specialist officers attended and made safe the device. The building has been reopened. Flights to and from the airport were not affected. 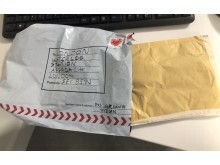 The Met Police is today releasing images of the exterior of all three packages. Suspicious activity can be reported by calling the confidential phone line 0800 789 321 or filling in a secure form at www.gov.uk/act. Officers from the British Transport Police are present at Waterloo Station to provide reassurance to the public. Specially-trained Met Police Project Servator officers, who carry out operations every day, will be present at some transport hubs. The officers are both plain clothes and uniform and are specially trained to identify tell-tales signs that someone is in an area for terrorist or other criminal purposes.